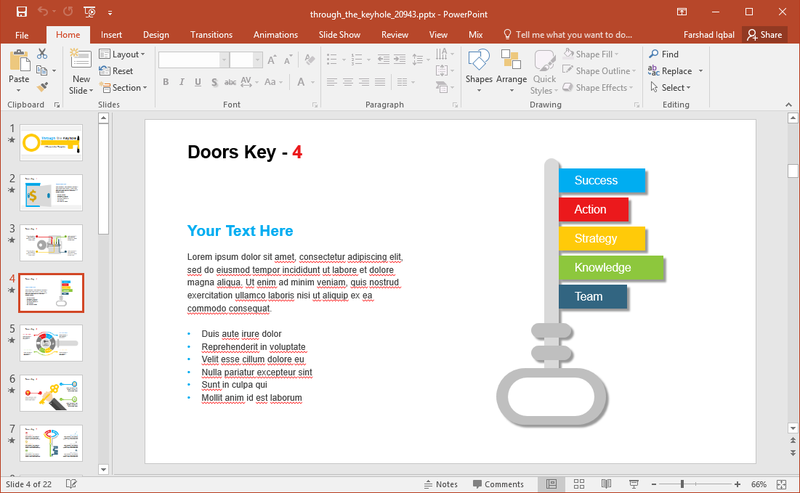 Door and key imagery in presentations is often used symbolically for representing new opportunities or moving ahead to achieve goals. 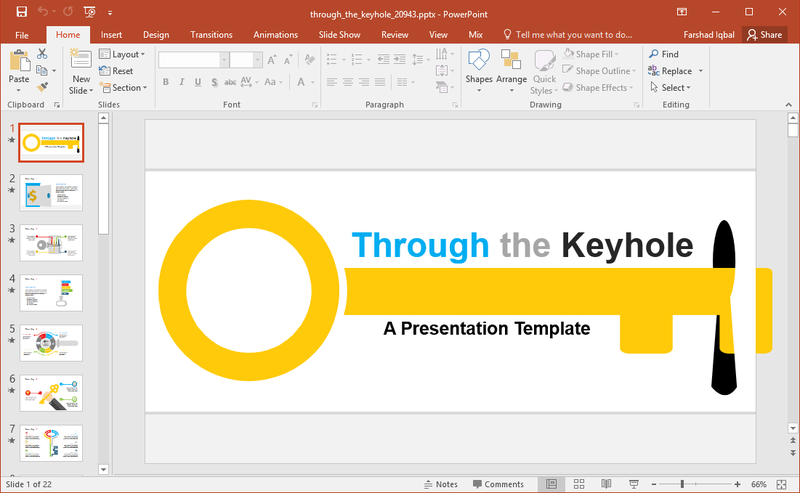 The Animated Door And Key PowerPoint Template perfectly depicts the symbolism of a key opening a door, leading towards something extraordinary. The title slide depicts a key opening a lock. 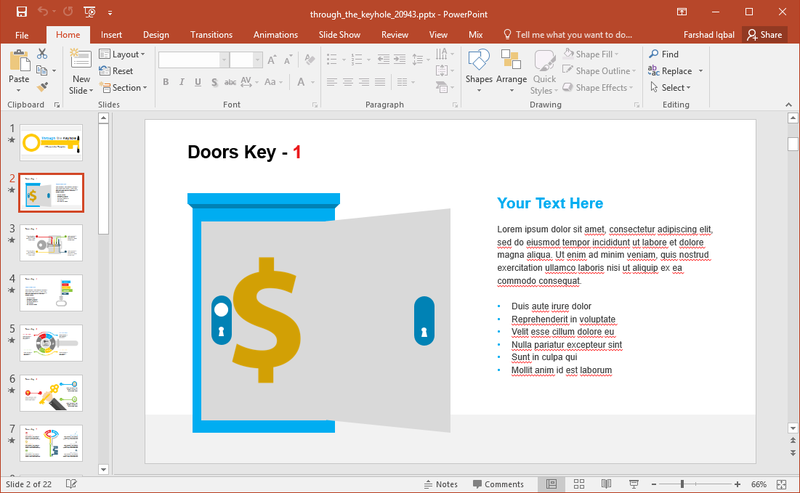 This is further continued in the second slide which shows a door opening, with space for adding your own text and image. 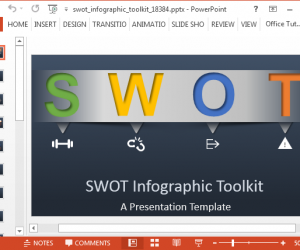 These two slides can help you set the tone for your presentation topic. There are various animated key diagram and infographic slides which give placeholders to help you design your own custom slide designs. 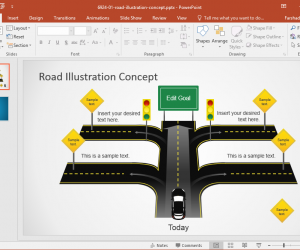 By customizing these diagrams you can create slides that depict specific forms of your own diagrammatic illustrations for presenting various topics. 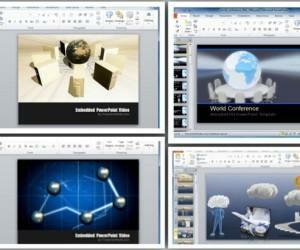 For example, you can create a SWOT analysis, PESTLE analysis, or illustrate the challenges ahead for a business entity. The diagrams can be edited down to basic parts. 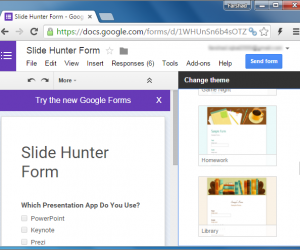 You can change the color size and shape of slide objects to redesign the sample layouts to best suit your needs. 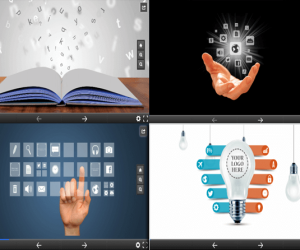 Alternatively, you can simply add your content to sample slides and preview the slides to see how the animations embedded in the existing slides add value to your content. 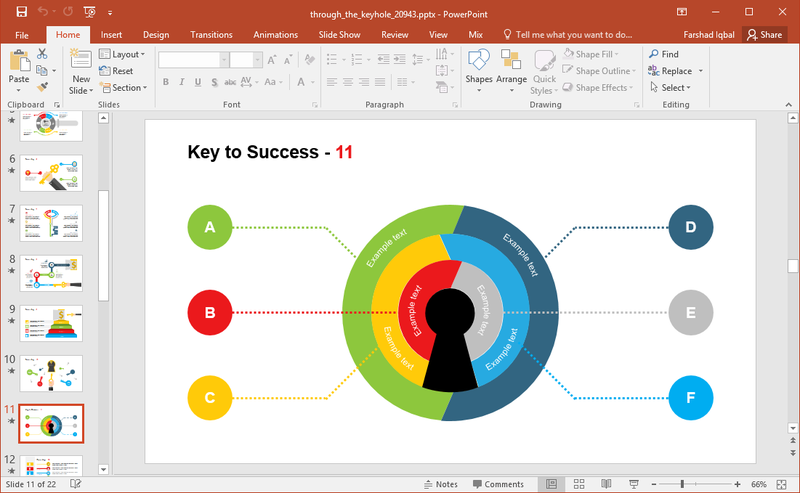 Since this is an animated template, you might want to preview changes after completion of slides to ensure that no animated sequence appears broken. You can make changes to default animations via the Animations Pane. 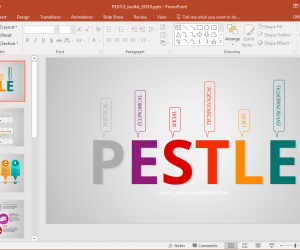 The template also offers clipart that can be used across your various slides for making custom slide designs or editing existing sample slides. these clipart images give generic symbols that can be used for various topics related to geography, science, technology, business, finance, marketing, etc. 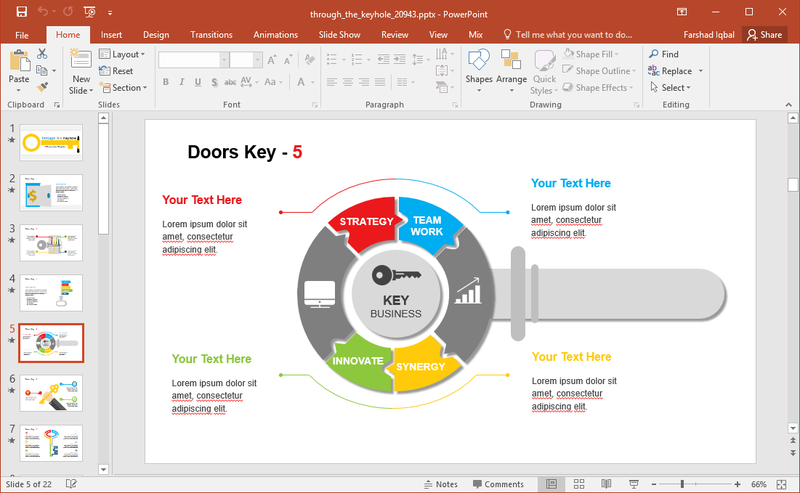 If you’re a Keynote user or someone who needs to switch between Keynote and PowerPoint frequently, you can download a variant of this template for both PowerPoint and Keynote in Standard or Widescreen format.